Rated 3 out of 5 by 0Jade from Timed Mahjong Game For some of us, adding time is enough to push us away. I want to enjoy my games, not be tested by them. You are in a tournament (with tournament type music) and you need to clear the tiles in so many moves or clear the tiles in so many minutes - not for me. I am aware that it's just to earn a tophy, and the level continues regardless, but if I don't beat the challenge all the way, I feel I've failed. Not for me, some of you might enjoy it. Rated 2 out of 5 by lvd04 from Again? Isn't this the third Mahjongg game this week that is almost exactly the same as the 2 previous ones? And they are all awful. Timed... Tiles hard to distinguish... Dim... I tried 3 different tile designs and they were all awful. Similar swords, roman numerals, arrows. You only get 2 shuffles before you have to start over. Except on the first puzzle, I only managed to get one star. 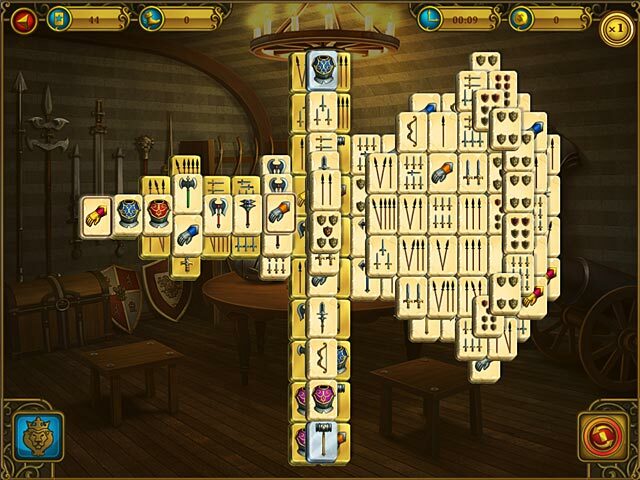 And when I got to a puzzle that started over, I gave up and deleted the game. Ok, so this is a bad game. But it's the THIRD bad Mahjongg game in a row. What's up with that? 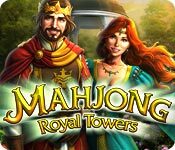 Rated 2 out of 5 by lillamary from Mahjong Royal Towers a royal frustration. I hate timed games. It would be soo nice if Big Fish noted on the advertisements whether or not games were timed. I have gone off buying many more games, because being an aged ensioner I cannot afford to buy them and find out that they are NOT relaxing but stressful. It seems with this game you can never win. Has anyone out there managed to do the levels in the time given? The colour and the graphics are goodo, but the game makes me depressed. A never ending loss. Rated 2 out of 5 by lotusdk from sorry to say I really like to play mahjong - I have a tons of them, but this is - boring, no new thinking - just the next in line of poor mahjong games. Rated 2 out of 5 by Clozar from Impossibly Timed, No Fun I enjoy Mahjong games. But this one is just frustrating. The timed level is impossible to do. The game play itself is slow and heavy feeling. The moves, and getting all the gold tiles is reachable. But to do it in the time alotted is not. This could have been a great game if not for the timed part. Will not be buying this one. There is much better Mahjong games out there than this one that is for sure. Rated 2 out of 5 by wadeckiburn from NOT THRILLED Not thrilled, is a good title for this game, overall it could have been an excellent game, but the bad to me outweighed the good. 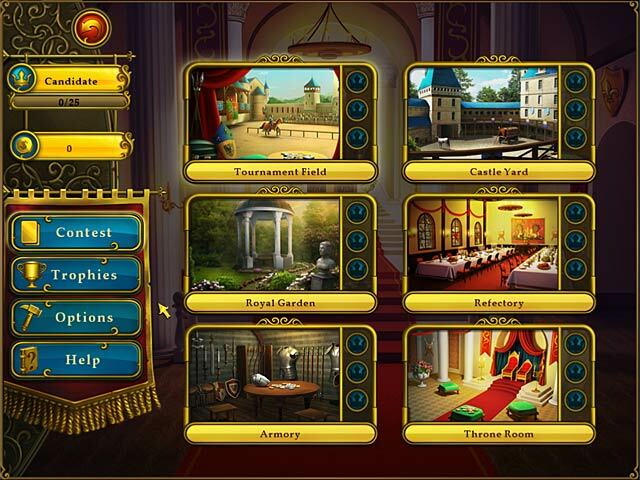 The game consists of several levels, each one has levels in it. You must earn points, clear the tiles in X-amount of time, make certain amount of moves,etc. PROS: clear tiles, no blurriness You have a shuffle button and a button to let you see only the available tiles CONS: 1st: I clicked on the tiles several times before I could get them to leave, that uses the time up. 2nd: used the "lion" button but still couldn`t see the clear tiles 3rd: they used Roman numerals for some of the tiles and was hard to find the match for them. 4th: where is the pause button, or the menu button, I clicked thru the different options and finally had to hit "Ctrl, Alt,&Del" to X out of the game, then had to hit "close window" just to get out of the game. I only played the demo for several minutes, but as I stated the bad outweighed the good and was so disgusted I deleted the game. Maybe good for others, but as for me I`m not buying this game even to get a free game. Rated 2 out of 5 by donadriedger from Frustrating I wanted to like this one, as I really enjoy Mahjong games, as a rule, but this game was simply too difficult. To start with, the game is timed option only, which I don't like...however, I do know that some gamers enjoy that, but if you are going set goals on speed you need a game that moves quickly. Unfortunately, this one does not. You need to click more than once to make a match, which is really irritating, even when you are playing an un-timed game. Also, you need to remove the gold tiles in a certain number of moves, which turned out to be almost impossible. I only managed on the first level. The tiles have some straight forward designs, but some have these little sprout things with tiny variations that are really hard to see. There are some different styles to allegedly choose from, but I could not make them change...might be a glitch. I also had to change from the custom cursor, as the game one just didn't move quickly enough...that might just be my computer, though. There are trophies to achieve and quite a few different arenas, with what looks like 12 layouts each. Some might find the length appealing, as lately games have been of a shorter ilk, which tends to leave one feeling ripped off. The only thing I can add is that Mahjong is supposed to be a relaxing strategy game and this one fails, in my opinion. Rated 2 out of 5 by rainice from I'll Pass This is a Mahjong game were you are asked to meet three goals on each level. You can move on even if all the goals are not met. That's all fine. I found though that the tiles are kind of small and not real easy to see. When I could only meet one objective on the second level, even when I retried, I decided this wasn't for me. Other people may enjoy it though. If you like Mahjong games, check it for yourself. Rated 1 out of 5 by sabinesa from What a pity I loved Mahjong World Contest and this is another in the same series, of which there are a good number by now. Because World Contest was so very enjoyable I didn't hesitate buying this without much checking it out, unfortunately. Like most of the other follow-ons of World Contest this is just too hard and without getting enough 3 stars in one level one cannot proceed to the further levels. 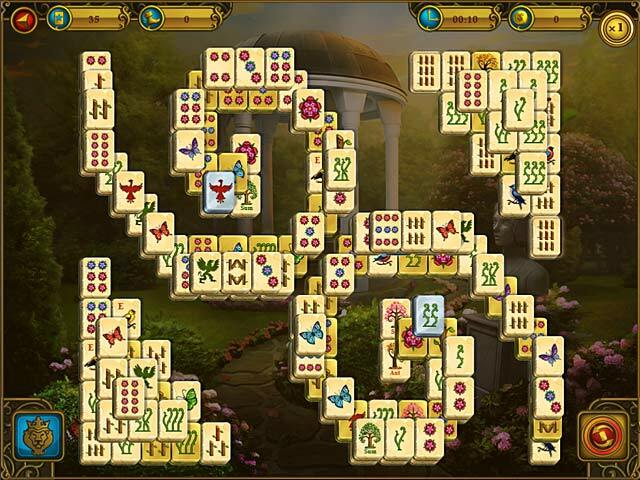 I am quite a good player and choose the same board layout with Mahjong always, so am familiar with the tiles. But really, in the very first level, on the 5th board (note, this is rather at the very beginning of it all) with 2 full sets of tiles and a busy layout one can only make 43 matches to achieve a star and do so in 1.40 minutes. That's 100 seconds for 43 matches, meaning roughly a match per 2 seconds - I don't think so. Seems to me that the person who set up the star rules hasn't ever played the game themselves and just rolled the dice to come up with numbers ... and got it horribly wrong. Subsequently I've always tried any other Mahjong in the same series before buying and have found with near all of them the same problem, so no more purchases from me. Sigh, but World Contest was so nice, why did they bugger it up? Really, what a shame for a potentially great series. I won't spend another penny on any of these until they get their scoring sorted to reasonable and enjoyable levels. If I want a fast and furious madness game I play a shooter or Farm Frenzy, not Mahjong! Rated 1 out of 5 by Pearly11 from Not good I tried my hardest to do the trial, but the tutorial of this game put me off it for life. Mahjong really isn't a game that needs such much of explaining and hinting, especially not if the actions of the hints are being forced on the player to be carried out and especially NOT when these enforced hints are ludicrous actions and therefore in my mind false. It's a real shame because I was looking forward to innovative mahjong challenge.